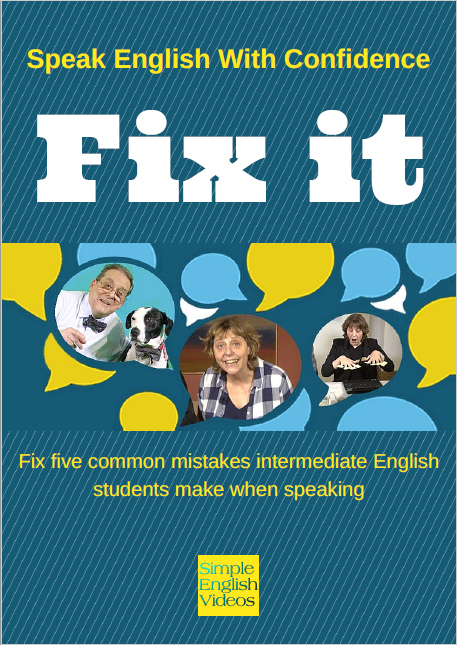 This checklist is designed to help you fix five mistakes that English students commonly make. Find out what they are and fix them today. Oh, and it’s free! Yes! Subscribe to our mailing list and it’s our gift to you! Discover five of the most common mistakes learners make when they’re speaking English. Check the rules and get links to free videos with clear explanations. Get emails about new video lessons and information on free live classes. The ‘Fix it’ .pdf checklist was written by Vicki Hollett, an award winning writer. Millions of students have learnt with the English text books she’s written for Oxford University Press and Pearson. Vicki has been an English teacher for forty years and she is committed to helping people all over the world learn English faster and making the experience fun. Her popular Simple English Videos channel was a winner in YouTube’s NextUp 2016 competition. Download the .pdf and let’s get fixing!